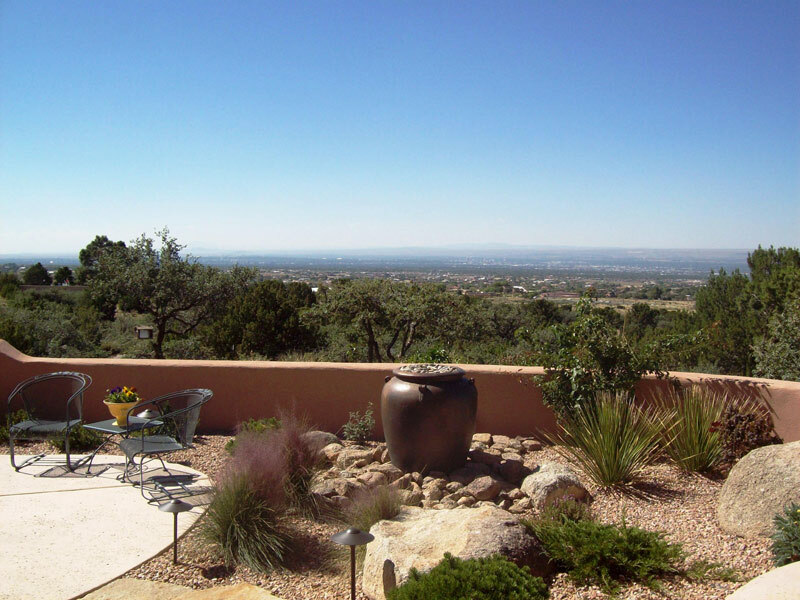 The Hilltop Landscape Architects and Contractors » Building a rabbit-proof back courtyard, with a view! 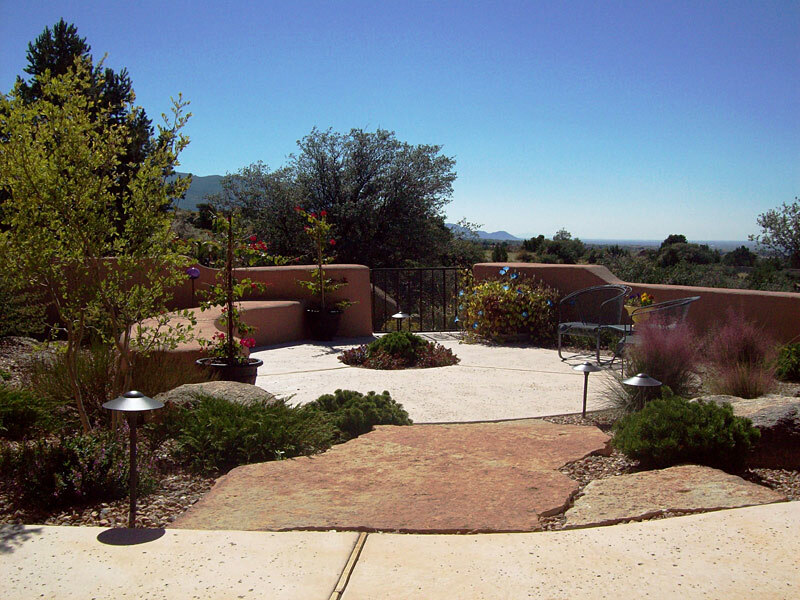 Residential LandscapingBuilding a rabbit-proof back courtyard, with a view! 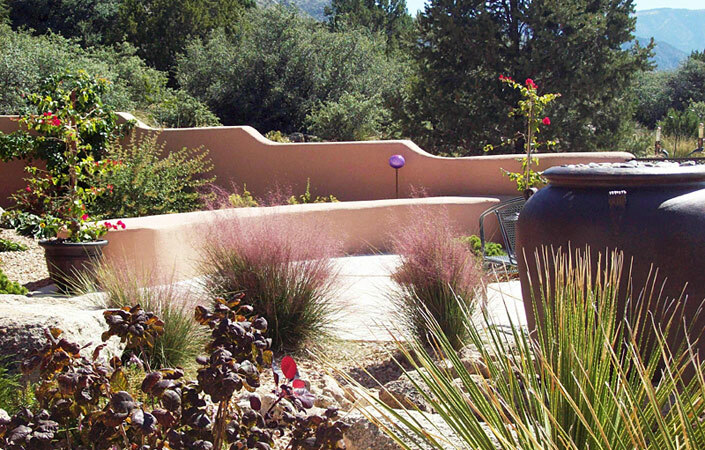 The foothills of the Sandia Mountains offer challenges to building and landscaping appropriately. 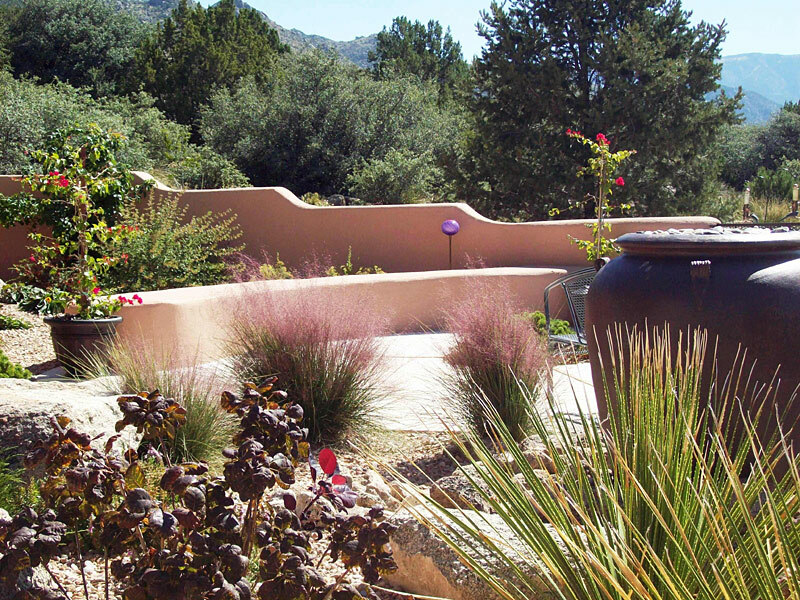 This homeowner had an unimproved sloping backyard facing southwest that was very hot. Rabbits would eat anything they tried to plant. 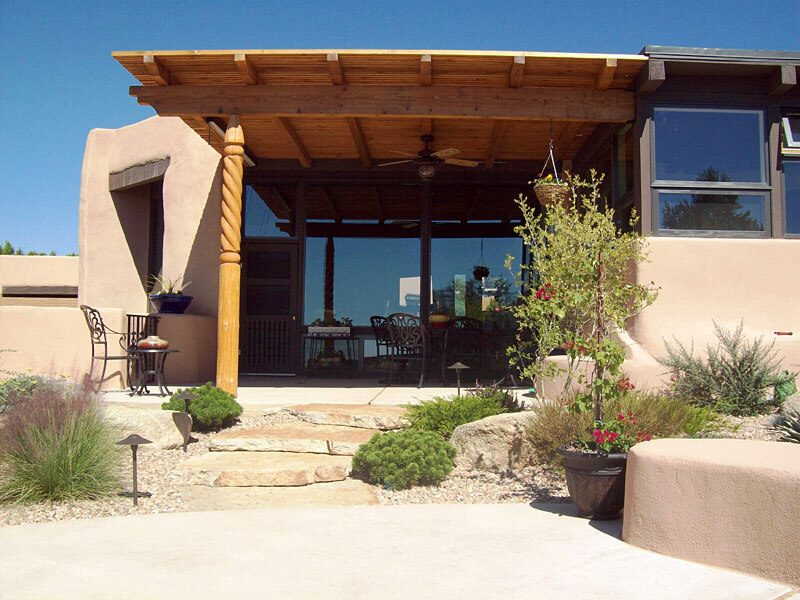 The design process involved enclosing a courtyard area and taking advantage of the sloping terrain to enhance the amazing views to the west from the patio while sitting under the new shade structure. 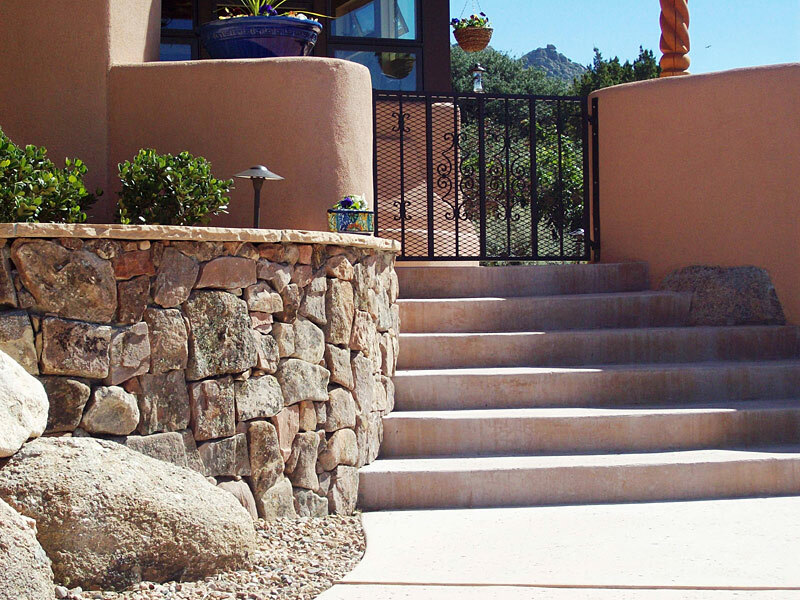 Level changes were accomplished through the use of stone slab steps and boulders integrated into a naturalistic design. The stuccoed block walls are low enough to not be intrusive while creating an intimate space free from rabbits! 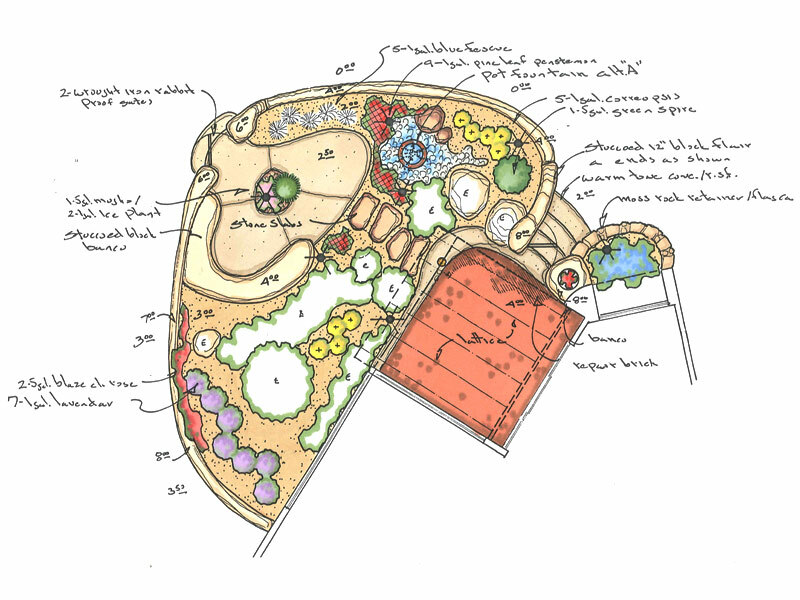 The low-water use plants of the new landscape soften and enrich the hardscape adding a cooling element. 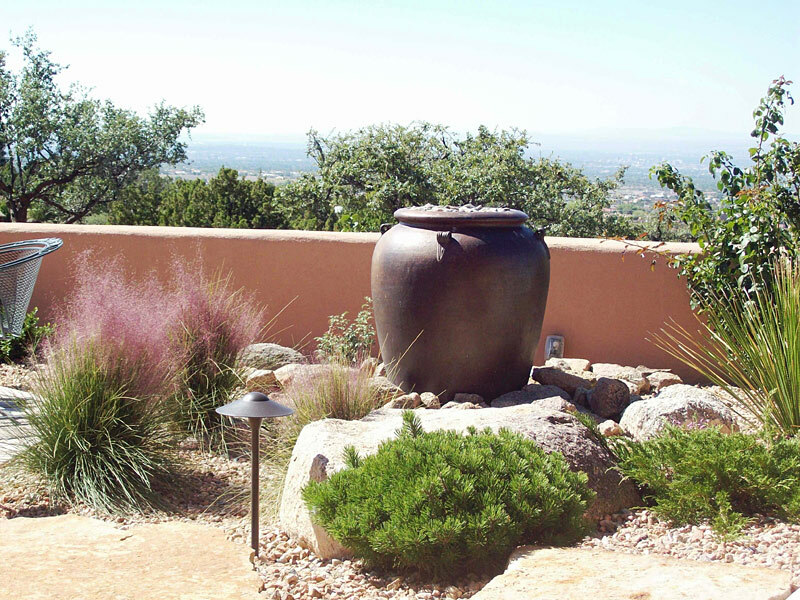 At the lower end of the courtyard a simple pot fountain invites your eye to look beyond to the native open space and distant mesas.